A system running Intel's McAfee VirusScan Enterprise for Linux can be compromised by remote attackers due to a number of security vulnerabilities. Some of these vulnerabilities can be chained together to allow remote code execution as root. The vulnerabilities described here are present from at least v1.9.2 (released 2/19/2015) through version 2.0.2, (released 4/22/16). The only difference from the older release appears to be updating to a newer version of libc which makes exploiting these vulnerabilities easier. At a first glance, Intel's McAfee VirusScan Enterprise for Linux has all the best characteristics that vulnerability researchers love: it runs as root, it claims to make your machine more secure, it's not particularly popular, and it looks like it hasn't been updated in a long time. When I noticed all these, I decided to take a look. Before getting into the details of the vulnerabilities in this product, it helps to have a quick understanding of the system architecture. This product contains two separate services; one running as root and one running as an unprivileged user called nails. 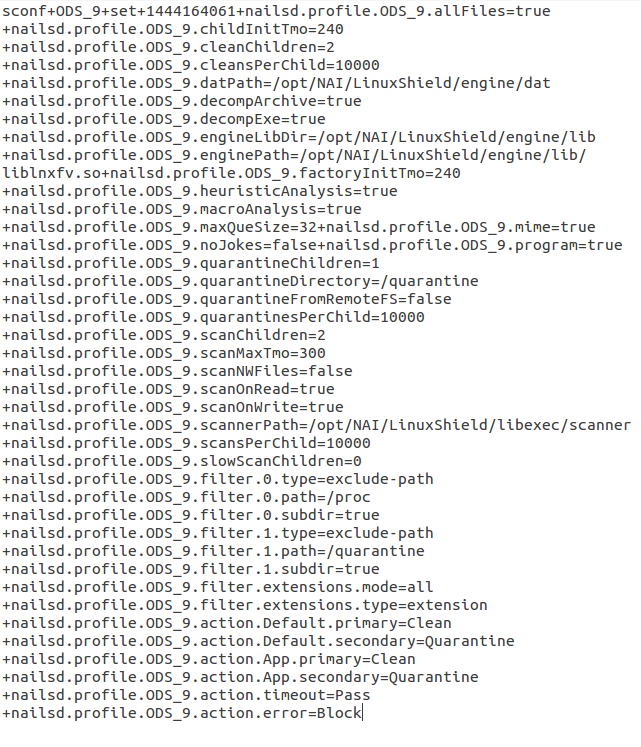 The main scanner service runs as root and listens on a local Unix socket at /var/opt/NAI/LinuxShield/dev/nails_monitor. 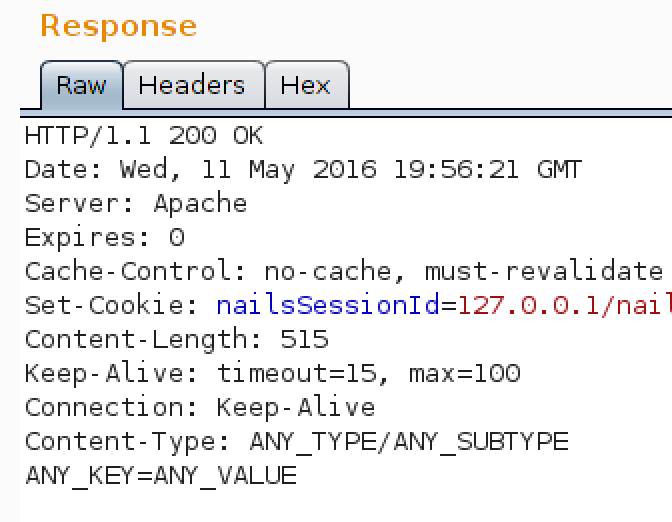 The webserver runs as the nails user and listens on 0.0.0.0:55443. 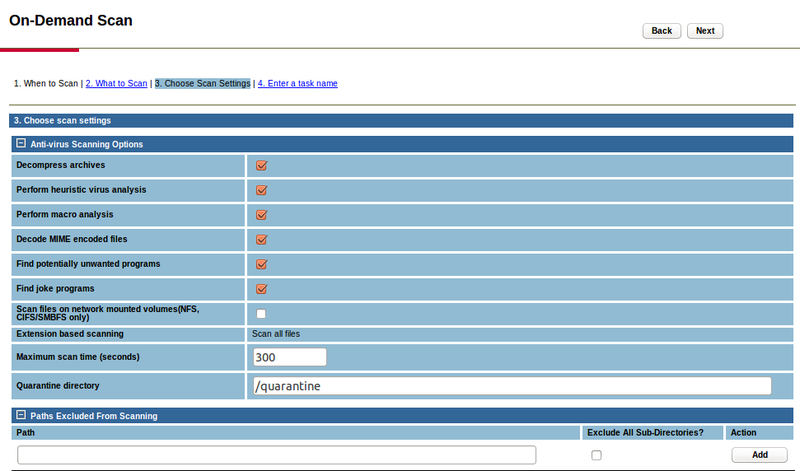 The webserver is essentially a UI on top of the scanner service. When a user makes a request to the webserver, the request is reformatted, sent to the root service and then the user is shown the response rendered in an html template. The web interface doesn't do much to limit what data a malicious user can send to the root service. When chaned together, these vulnerabilities allow a remote attacker to execute code as root. Looking at various template files used by the webserver, it's easy to see that valid template files either contain the magic string __REPLACE_THIS__ or has the two tags [% and %] with any string between them. If an attacker is able to place these strings into a file on the system (which may be trivial for log files), the attacker could then use the webserver to remotely read the entire file. 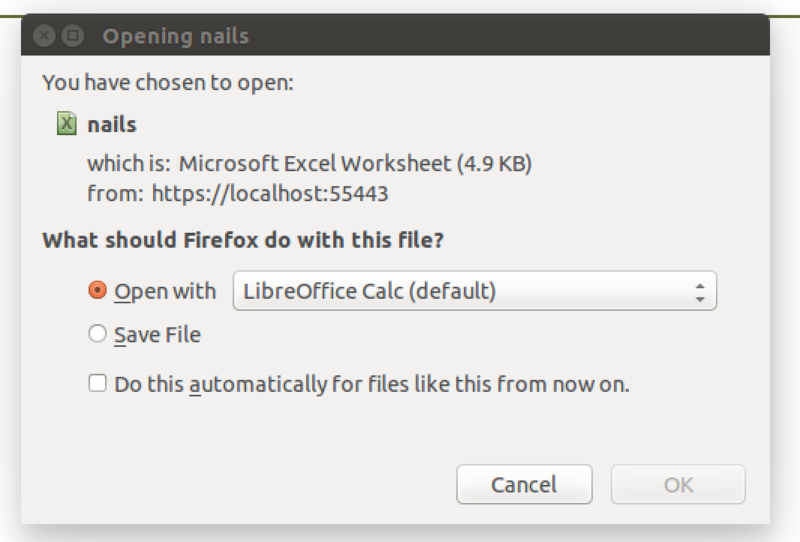 A limitation of this vulnerability is that the files are being read by the nails user. There are no CSRF-tokens accompanying any forms on the web interface which allows attackers to submit authenticated requests when an authenticated user browsers to an attacker-controlled, external domain. Seeing this basic of a vulnerability in an AntiVirus product in 2016 is quite surprising. The lack of CSRF-tokens is one of the ways that a remote attacker can exploit a vulnerability that should only be exposed to authenticated users. 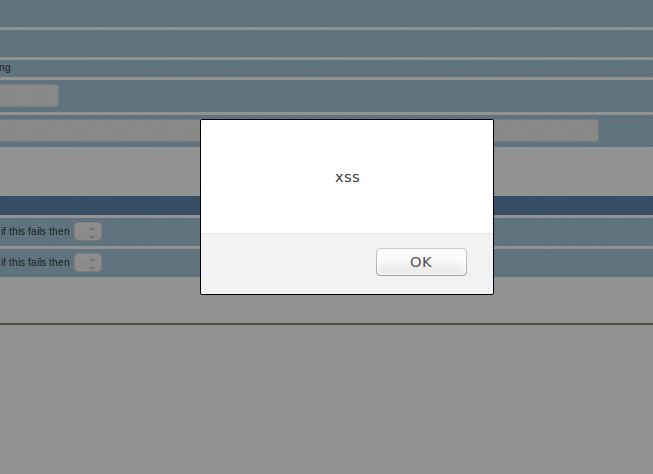 This payload can then be modified to alert the message "xss"
Attaching strace shows that this parameter is passed directly to execve from a process running as root. By changing this variable to an executable on the system, an authenticated user can have that binary executed by the root user. It would be easy to combine it with other XSS or CSRF vulnerabilities to exploit this without authentication. One vector to exploit this is though /bin/sh which will load a shell script specified by the -e argument and execute it. A local user could use this to escalate privileges, but a remote attacker would need a way to place a malicious shell script onto the system. The web interface allows users to specify an update server and request updates from it. Since I wanted to find a way for a remote user to write a file to the system this seemed like it might be a useful feature. To find how the update server was used, I cloned McAfee's update repository locally and then reconfigure the server to download updates from my server. Two requests are made as part of the update process. First there was a request to /SiteStat.xml, then a request to /catalog.z. The SiteStat file is just a standard XML file that says if a site is enabled and what version of the catalog it is serving. Presumably an update will only be downloaded if this is newer than whatever version the application had last used to update. 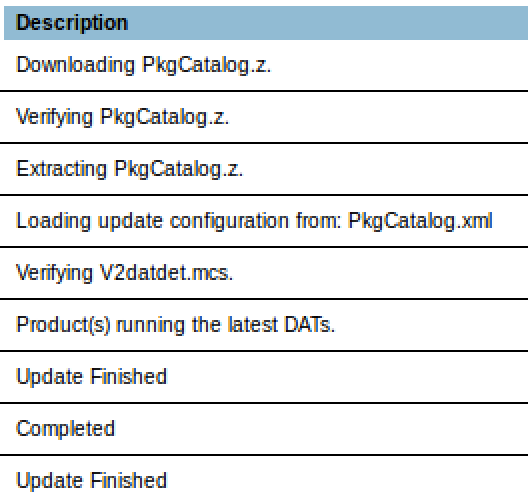 The catalog.z file looks like an McAfee ePolicy Orchestrator file which is mostly binary data. I made the choice to to assume that this used good crypto and that the update was signed so there would be no way to push down a malicious update to compromise a system. Instead, I wanted to use this to push down a shell script to later execute with the previous vulnerability. The log files claim that the update process consists of: downloading a file, verifying its integrity, unzipping, and installing. Since this application isn't single-threaded, we can exploit this logic by making the program download a large file to /opt/McAfee/cma/scratch/update/catalog.z, and either before the download finishes or before the verification runs, we can use Vulnerability 5 to execute it. It's trivial to generate a shell script that will take a while to download, but will execute a given payload when run before the download is finished. This can be done by creating a script that contains a desired payload and then appending the payload with a large comment. Combining vulnerabilities 5 and 6 now gives us a privilege escalation allowing us to go from the nails user to root. Using CSRF or XSS, it would be possible to use these vulnerabilities to remotely privesc to root. When a user authenticates through the website, a message is passed via a unix-socket to the root service. The root service validates the credentials and returns its results to the webserver. To find what was going wrong when a remote machine used my cookie, I used socat to man-in-the-middle the socket to see the messages. It looks like the webserver is sending the requester's IP address in addition to their cookie when it makes an AUTH request. Although it's a bit unusual, it's not a terrible security decision. Our cookie is being sent via a text-based protocol and after our cookie, there's some number of spaces and the IP address. But if we modify this to make our cookie end with a space followed by the victim's IP address and then a number of spaces, it will be parsed incorrectly. The service incorrectly parses this line and believes that it's reading a cookie sent from the victim's IP address. After seeing the previous cookie-parsing logic fail, I wanted to test how well the other cookie validation logic worked. Users can export a CSV of all log data from the "System Events" page by clicking an export button which just makes a GET request. When this request is sent, one of the parameters is info%3A0. This parameter typically holds the value multi%2Capplication%2Fvnd.ms-excel. The server responds to this request with a header Content-Type: application/vnd.ms-excel. An attacker can create a link that responds with arbitrary headers by simply urlencoding newlines plus additional headers. 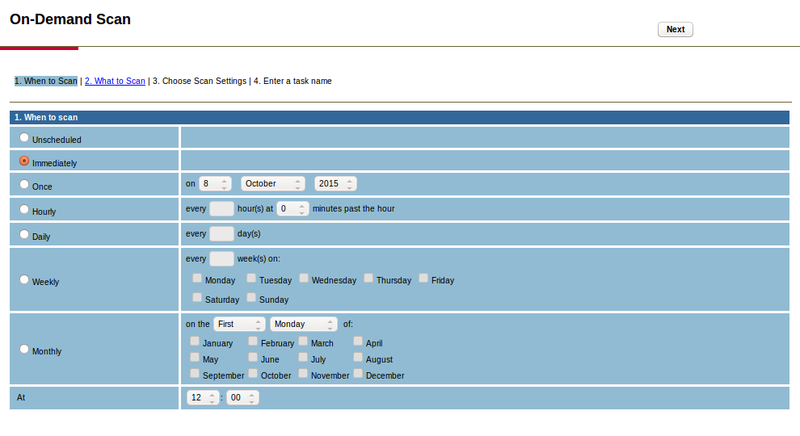 This system uses a SQLite database to store data about settings and previous scans. Every entry point to this database I looked at was vulnerable to SQL injections. This application appears to translate URL arguments into SQLite commands. Using the CSV-export function mentioned in the discussion of vulnerability 9, we can dump the sqlite_master table in CSV form simply by visiting a URL. The query select * from sqlite_master; is embedded in the URL localhost:55443/0409/nails?pg=proxy&tplt=-&addr=127.0.0.1%3A65443&mon%3A0=db+select+_show%3D%24*++_output%3Dcsv+_table%3Dsqlite_master+&info%3A0=multi%2Capplication%2Fvnd.ms-excel. The database isn't used for authentication, just to track which files have been scanned and the event log. After exploiting other vulnerabilities to compromise a machine, an attacker could use SQL injections to modify the event log to clean up their tracks. "31-Dec-1969 16:00:00 (-08:00 UTC)","(nailsInfo autoindex 1)","nailsInfo","3",""
"31-Dec-1969 16:00:00 (-08:00 UTC)","(schedule autoindex 1)","schedule","8",""
"31-Dec-1969 16:00:00 (-08:00 UTC)","errorClass","errorClass","12","create table errorClass(errorClsNm varchar(16) not null unique)"
"31-Dec-1969 16:00:00 (-08:00 UTC)","(errorClass autoindex 1)","errorClass","11",""
"31-Dec-1969 16:00:00 (-08:00 UTC)","repository","repository","15","create table repository(siteList blob, status int)"
Brute force authentication token using Vulnerability 7 and Vulnerability 8. Start running malicious update server. Send request with authentication token to update update server using Vulnerability 7. Force target to create malicious script on their system using Vulnerability 6. Send malformed request with authentication token to start virus scan but execute malicious script instead by using Vulnerability 5 and Vulnerability 6. The malicious script is then run by the root user on the victim machine. Exploiting this vulnerability depends on the existence of a valid login token which is generated whenever a user logs into the web interface. These tokens are valid for approximately an hour after login. Andrew Fasano is a security researcher in Boston, MA.